Founded in 2009 by Major League Baseball Hitting Coach John Mallee, the Northwest Indiana Shockers summer travel baseball teams are considered one of the top programs in Northwest Indiana and Eastern Illinois. Those players selected will train and follow the same training drills and practice structure that Minor and Major league teams utilize in professional baseball during the winter months. The goal is to make this the best learning and playing experience for all the players. As part of the Northern Illinois Metro League (NIML), the season runs April through July, with try-outs taking place in August then practices and workouts starting in November. The Shockers teams participates in various tournaments, sanctioned by several National baseball organizations, approximately 40-60 games per year. John Mallee, along with his professional staff, will help train the team throughout the fall, winter and early spring months. The team will practice once a week during the winter at an indoor training facility for 1 1/2 hrs per week. Players will have the option to hit 2-3 times each week in our indoor batting cages. Each team will be limited to 12 players to insure everyone gets maximum playing time. > Teams include: Florida Marlins, Montreal Expos, Milwaukee Brewers, Houston Astros, Chicago Cubs and currently with the Phillies. John Mallee: Major League Hitting Coach-Founder and President of the NWI Shockers. Andy Loomis: Gary Railcats/NWI Shockers Head Pitching Coach. Ryne Pishkur: Andrean High School-NWI Shocker Hitting Advisor. Dave Pishkur: Andrean High School Varsity Manager-NWI Shockers, Infield/Hitting Advisor. Devon Deyoung: NWI Shockers, Hitting Advisor. Ryan Bridges: NWI Shockers, Hitting Advisor. Jeff Boehm: NWI Shockers, Hitting Advisor & Fielding specialist. 2 years in MLB LAA minor league. Julian Griffin: NWI Shockers, Hitting Advisor, Outfield & Catcher specialist. Independent Baseball 5 years. Pascual Santiago: NWI Shockers, Hitting Advisor, and Pitching specialist. Over 18 years coaching baseball from college level to Independent Baseball. Jeff Mojzik: NWI Shockers Catcher Specialist. 4 years Purdue University. Jim Nohos has been coaching baseball in various capacities in “The Region” for more than 20 years. Jim has coached players of all ages and at all levels of baseball. Numerous professional and college level pitchers have received instruction from Jim. Jim was the pitching coach for Andrean HS during the 2010 and 2014 state championships and was the 2010 National High School Baseball Coaches Association Assistant Coach of the Year. Jim has been an assistant coach at multiple area high schools: Lake Central, Griffith, and Hobart. From 2007-2009, Jim was the head coach of Hanover Central High School. In 2007, he lead the Wildcats to their first Porter County Conference Title in over 30 years. In addition to coaching at local high schools, Jim has coached summer travel ball for several premier organizations. In 2000, his team was fourth in the nation at the Babe Ruth 16-year old World Series in Moses Lake, WA. Jim currently resides in Hobart, with his wife and 3 children. Jordan Smolar is the owner of NWI Sports Performance in Crown Point, IN. Since 2012, over 60 NWI Sports Performance athletes have gone on to play college and professional sports, 52 of which have been baseball and softball players. Of those 60+ athletes, 6 have been MLB Draft Selections, 1 was the NCAA Freshman Pitcher of the Year, 4 have been named The Times Player of the Year (3 in prep baseball; 1 in prep softball) and 1 has been named The Times Prep Athlete of the Year. Smolar played baseball professionally from 2005-2008 after attending Valparaiso University (2002-2005) and Butler University (2001-2002). He has been training and instructing athletes since 2005. 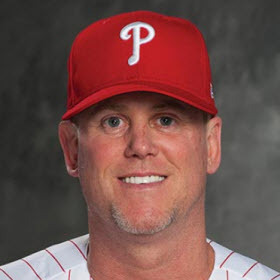 He has worked very closely with John Mallee (Philadelphia Phillies’ MLB Hitting Coach) and Travis Smith (Los Angeles Dodgers’ MLB Assistant Strength Coach & Minor League Strength & Conditioning Field Coordinator) throughout his entire career and has also spent time working with Athletes’ Performance (now EXOS) and Eric Cressey of Cressey Sports Performance. In the 2018 season- his first with Andrean High School- he helped lead the baseball program to the IHSAA 3A State Championship as a full-time varsity assistant coach. If you would like to make a charitable donation to the Indiana Shockers, click on the “Make Payment” button.